My recent trip to New Orleans was quite inspiring when it came to trying and exploring new and dynamic flavors. 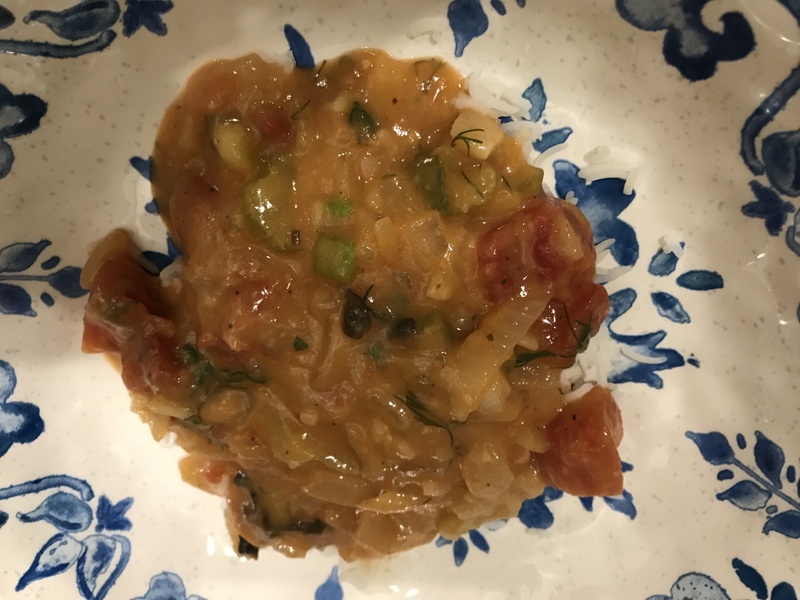 I was exposed to amazingly delicious Creole and Cajun cuisine (and I learned that these are distinct from one another as well) and wanted to explore making a vegan version of a New Orleans classic, Crawfish Étouffée. The étouffée sauce is traditionally made with butter and a meat or seafood stock, but I used soy butter and a veggie broth instead. I also made it with pan fried tofu instead of crawfish.